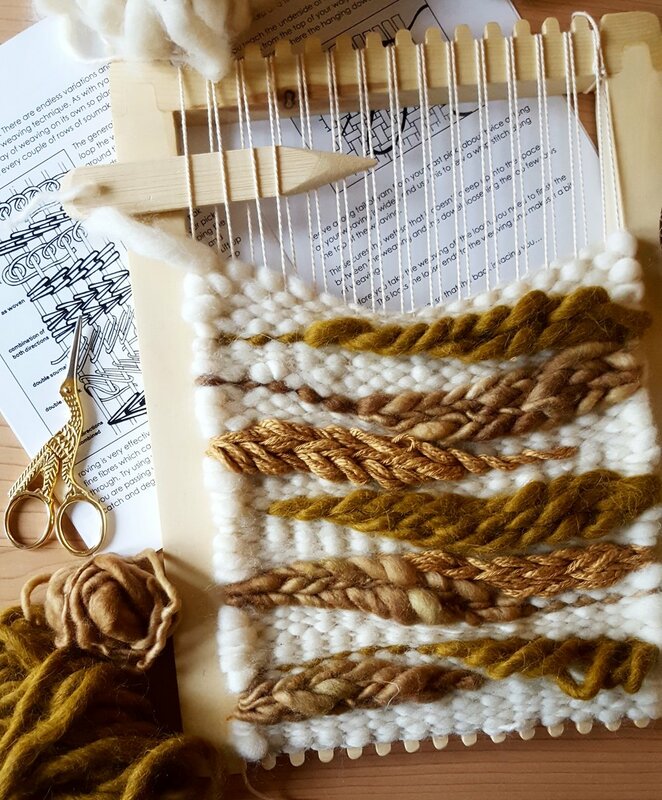 In this 2 hour workshop you'll learn the essentials of frame-loom weaving - how to set up your loom, the mechanics of weaving, different ways of creating texture and how to finish and remove your completed piece. This class combines instruction with lots of time for hands-on learning and experimentation. How does this class differ from Weaving 101? 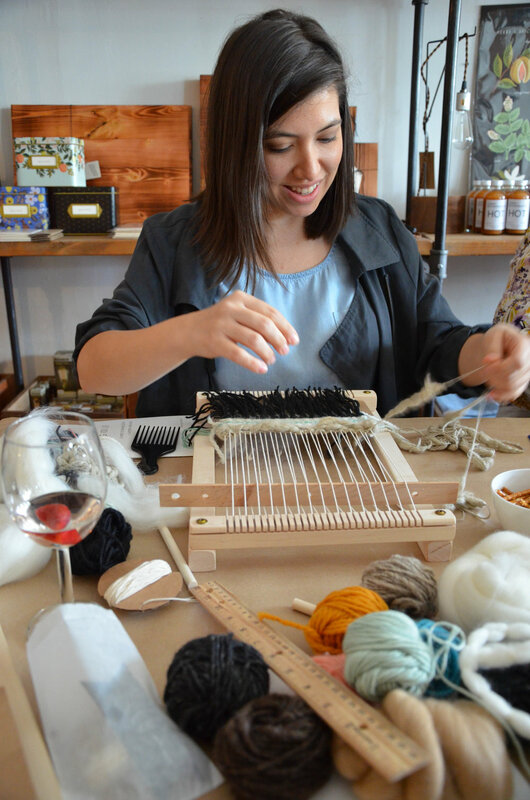 Weaving 101 is a comprehensive class that teaches traditional tapestry weaving techniques while this Intro to Weaving workshop takes a more relaxed, experimental and free-form approach to the process. We'll still cover the essential steps for creating a beautiful and well-made wall-hanging and you'll come away from the class with the skills and tools to continue weaving long into your future! Please note - although this class takes place at the Vancouver Home and Design Show it will be in a private, enclosed space - we won't be on display! - and the outside noise from the show will be kept to a minimum.